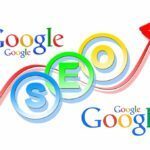 IS SEO IN REDDING CA IMPORTANT? I frequently get the question, “Is SEO in Redding CA important?” and want to get your input as to how important is it for your website to rank on the first page of Google, Bing & Yahoo? My professional opinion is yes. If you can’t be found organically in the major search engines than you are missing opportunities to convert new customers. Another question is do you know what keywords/phrases people use to search for your services? Many times I see people trying to do get there websites listed under the wrong keyword / phrases because they have not done their research. After all, it’s great to be listed under a keyword / phrase, but if nobody searches for that keyword/phrase, then there is no traffic. SEO (Search Engine Optimization) is Hard and Expensive! Yet, another comment I hear a lot. Yes, SEO can be difficult, but it doesn’t have to be. There are programs that will help you so that you spend less time trying to do SEO, and more time talking to customers. Another, is that it is expensive. Again, it doesn’t have to be. With a small investment, you can get first page rankings with the keywords/phrases that generate traffic and convert customers. It seems that even if you run an SEO campaign, it’s always difficult to see actual movement in rankings. This doesn’t have to be the case. There are ways to monitor your rankings weekly without spending a lot of time researching it. You can have ranking reports produced weekly, showing your position and movement (up or down) sent to you automatically. If you are truly interested in building your online presences and driving convertible traffic to your website, then we should talk. SEO doesn’t have to be difficult, time consuming, and expensive. Let me show you how to get first page ranking on Google, Bing, and Yahoo. This entry was tagged seo, seo marketing, seo redding, seo redding ca. Bookmark the permalink.